As passengers grow worried that the plane has been grounded internationally — but not in the U.S. — here's how to find out what model plane you're flying on. Authorities in several countries have grounded the Boeing 737 Max 8 following the crash Sunday of an Ethiopian Airlines plane that killed 157 people. NBC's Jay Gray reports. 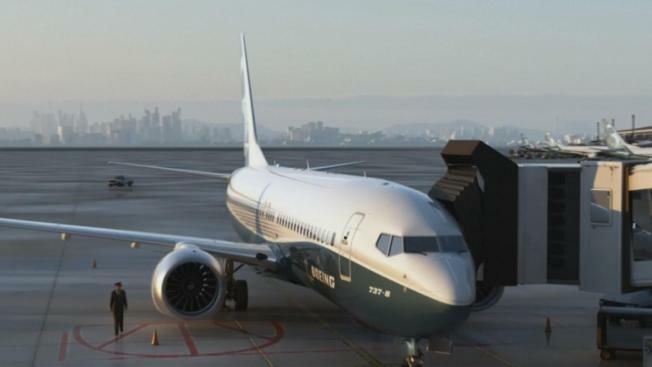 As countries around the world are grounding all Boeing 737 Max planes after the Ethiopian Airlines crash on Sunday that killed 157 people, U.S. passengers are growing concerned after the FAA announced airlines can still fly the Boeing jet in the country, NBC News reported. Passengers are taking to social media, expressing their anxieties about flying on one of the Boeing models and asking their airlines how to know if they’ll be on a 737 Max 8 or 737 Max 9. Currently, Southwest Airlines has 34 Max 8s, and American has 24. United doesn’t fly the Max 8, but it does fly 14 Max 9s. If a passenger is worried, looking up the model of the plane isn’t too difficult. When buying tickets, airlines often list the model of plane with the ticket information. On Southwest, click the specific number of the flight and it will list the plane model. When looking for tickets on United, click the “details” button. On American, it will be listed with the flight information, near the time and price (American denotes the 737 Max 8 with the shorthand 7M8 on their website). If you’ve already bought your ticket, the plane information should be on your ticket. If you can’t find it, call the airline and it’ll let you know.